The 13 Days Murchison Falls safari Uganda, Queen Elizabeth wildlife safari & Uganda gorilla tour is a rewarding Uganda Safari experience that will have you visit the world’s most powerful water falls; Murchison Falls, a boat cruise on the world’s longest river; River Nile, enjoy views of the big 5 game animals during your game drives in your 4×4 safari van, 4×4 safari Land cruiser, 4×4 super custom, 4×4 minivan depending on the number of people your traveling with, as well as the endangered mountain gorillas during your Uganda gorilla trekking safari. 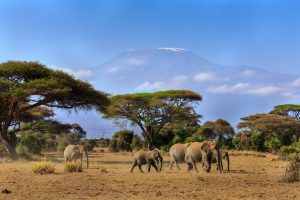 On your way to Murchison Falls National Park, you will have a stopover at the Ziwa Rhino Sanctuary offers the Big five safari experience including Rhinos, Elephants, Buffaloes, Leopard and Lions. Your 13 days Uganda safari also extends to Kibale National Park offers an incredible Uganda chimpanzee trekking safari experience as well as to Bwindi Impenetrable National Park with half of the world’s remaining Mountain Gorillas presents a lasting Mountain Gorilla trekking safari Uganda experience. Accommodation on this trip will range from Luxury and mid-range depending on your choice. You are required to wake up early in the morning, take breakfast at your hotel and get ready to be picked up by your Uganda safari driver guide. 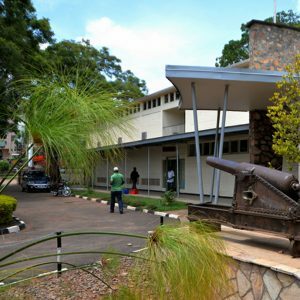 At round 7am, you will be picked up by your guide from the hotel and embark on your journey to Jinja. Along the way, you will have a stopover at one of Uganda’s cultural hidden treasures of Uganda; Sezibwa falls in Mukono. 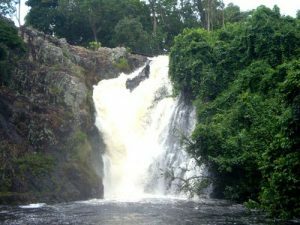 The Sezibwa falls are situated at about 32km along the Kampala – Jinja highway, in Mukono District. A drive to the falls takes about 1 hour from Kampala to Kayanja town and about 1.5km off the road. The waterfalls are set in an undisturbed natural and serene attractive environment with lots of birds and a few wildlife. Sezibwa River plunges over 17-meter-high rocks into a plunge pool with a depth of over 13 meters. The falls and river are surrounded by big fig trees, bamboo and several shrubs, a small rain forest that is home to several monkeys and a good number of birds. From Sezibwa falls, you will proceed to Mabira forest along the Kampala-Jinja high way. From Mukono to Mabira is about 35 km driving for about 1hour. Upon arrival in the forest, you will do a nature walk in the forest. You will meet trained guides who will give you a comprehensive forest experience. 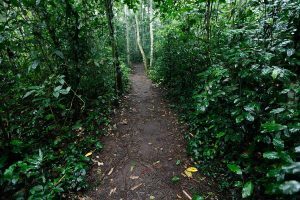 The forest has over 312 species of trees, that act as food as wells as home to several birds, monkeys and other animals that habit this forest. The nature walk experience in the forest takes about 2hours and then progress for lunch in Jinja. After lunch, embark on a journey to the source of River Nile in Jinja. You will take a boat cruise to the mighty River Nile (Longest River in Africa) to a point where starts its journey all the way to Mediterranean Sea. After breakfast, you will be transferred from your hotel to the starting point for white water rafting for a half day white water rafting adventure on the Nile that takes about 5 hours. After rafting, you will have your lunch in one of the restaurants and go for horse riding or quad biking for about 2 hours and after embark on your journey back to Kampala at your hotel or for your drop off at Entebbe airport for your flight. 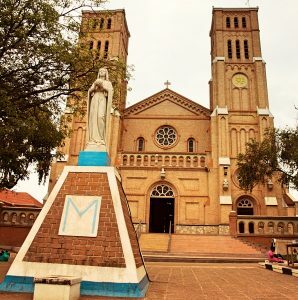 Have breakfast early in the morning and go for horse back riding safari for about 2 hour, have lunch and get your bags packed and set off for Kampala.